Javik lives in a country surrounded by mountains and covered in old growth forest. 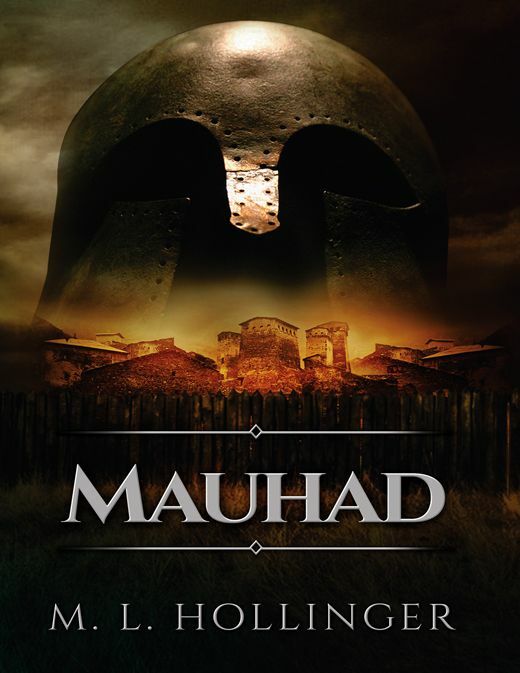 His ambition is to become a warrior like his father, Tolda, but he must pass Mauhad before he can realize that ambition. When is father is killed saving the others in his raiding party, Javik despairs of ever reaching that goal without his father's training. Goldar, who led the raid when Tolda was killed, convinces the King to allow Javik to train with Tao Shan, the finest mentor in the kingdom. Javik finds himself among the sons of the wealthy and must adjust to the situation quickly. While in training he encounters a girl in the forest. She is Allana an escaped slave, but Javik falls in love with her. He convinces her to come out of hiding, and she teaches the sling to Tao Shan's students. A boy struggles to pass Mauhad, the manhood test of his people, and falls in love in the process. standing in the clearing before him. twitched to extract any scent of trouble from the crisp fall air. alarm bell to send the pair bounding off into the brush. was not prepared for the sight greeting him there. raid leader, sat in a chair with two healers hovering over him. the subject of the healers’ attentions. the brazier of hot coals holding the cauterizing irons. break down and cry even at such horrible news. At that moment the healer applied the cauterizing iron. what was left of his resolve. Goldar recovered quickly. but it hasn’t been invoked in many years. Don’t worry. above all other men and went directly to his mother’s hearth. her beauty and she looked suddenly old.